After October 2016 I have become a MCP in SQL Server (exam 70-461). In order to obtain the certification, I have decided to start reading mainly SQL Server books. 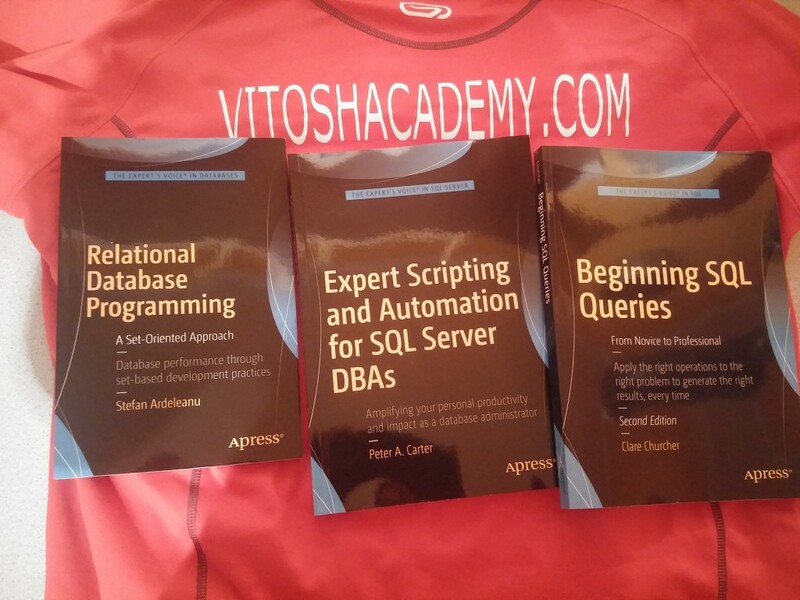 Thus the review of Expert Scripting and Automation for SQL Server DBAs begins. The book is divided into 9 chapters, starting with T-SQL techniques and PowerShell fundamentals. I liked the T-SQL techniques, these were also asked in the Microsoft 70-461 Exam and were of help for me for my preparation. Especially for the XML related questions. Concerning the second chapter for PowerShell, it is really very good for any developer to use it. As a professional VBA developer (or at least something similar, if you have the opinion that VBA and developer should not be in one sentence) I really like the scripting languages and I usually use a great deal of them at work. Thus, a big plus for the second chapter and the idea to introduce it in a SQL Server DBA book! In the other chapters the book gives real data examples for axiomatization, with lots of SQL code and step by step scenarios with screenshots. Even basic database theories are covered in the book (e.g. normalization and SSIS concepts), which I liked. Pretty much, to summarize, I liked the book mainly because it can be used as a nice handbook and with its approach you may automate your SQL Server. A tiny minus is that the SQL code in the book looked a little unsorted and difficult to follow (e.g. page 273), but that’s a tiny minus, as far as the code is available also online. If you liked my review, please, feel free to give it a thumb up at Amazon.com here.